If your computer is running slow, here are some steps to speed it up. 1) Uninstall any programs that you do not use anymore. 2) Run a deep level virus scan. Within the advanced options of your antivirus program you will have the ability to run a deep level antivirus that will run a complete scan of your entire hard drive. 3) Disk Cleanup. 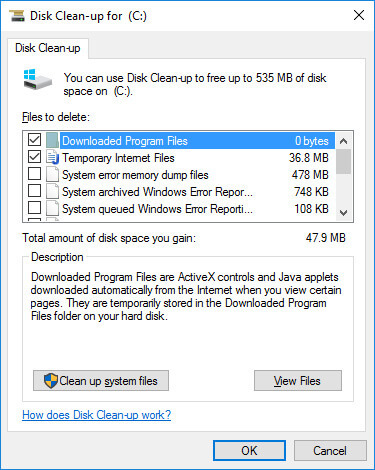 This is a tool available within Windows that will cleanup files that can be safely removed from your computer. 4) Malware Bytes. A free program (a paid version is also available) that will scan your computer, identity any malicious files (usually used to hijack your browser with ads) and remove them. 6) Defragment. Windows has the ability to move files on the hardrive from one location to another. Moving this data into consolidated blocks improves the speed at which your computer can retrieve data. Note: If you have a solid state drive it is not advisable to defragment this. You should disable automatic defragmentation within Windows. 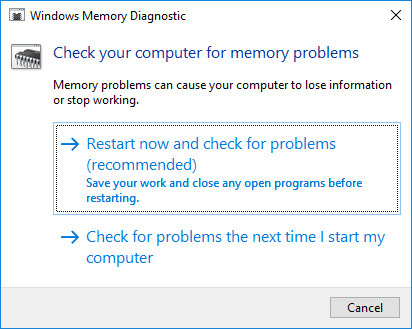 7) Check RAM with Windows Memory Diagnostic. Sometimes RAM can fail but not cause any obvious problems, apart from your computer running slow. You can check the amount of reported RAM within Windows. If it is less than expected you may need to replace this. 8) Limit startup programs. Some programs when installed will set themselves to automatically launch when the computer is turned on. This can cause your computer to take longer to startup and become fully responsive. Using Task Manager (Windows 10) or MsConfig for previous versions of Windows allows you to disable these programs.